It’s a colorful, fruity twist that hydrates your body naturally, while at the same time excites your palette and teases your vision with fun light colors of amber – for the Apple infused flavor, pink – for that hint sweet taste of Pomelo flavor, and orange – for that fizzy Orange twist. The hydrating burst of flavors in the new Wilkins Delight will surprise Pinoy millenials to break-free from the monotony by adding color to their routinely lives. “As someone who’s from the beauty pageant industry, I need to take good care of my health and my complexion by drinking safe and pure drinking water. With Wilkins Delight, drinking water gets even more fun as it helps rejuvenate me — keeping my skin healthy. The good thing about Wilkins Delight is that it comes in three exciting fruit flavors. All three variants of Wilkins Delight are delicious, although my personal favorite is the apple flavored one. There’s definitely one for everyone!”, Kylie says. “As an actor, singer and triathlete, water is always a must for me to help me stay focused, refreshed and energized. Wilkins has always been my no. 1 go to water for hydration. 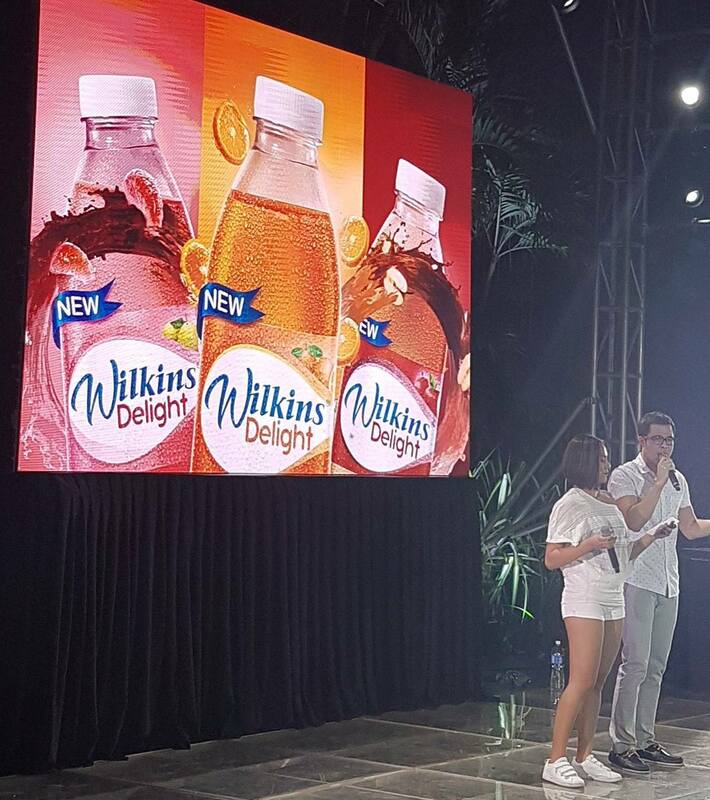 Now, drinking water doesn’t have to be boring because of Wilkins Delight! With the benefits of safe and pure drinking water of Wilkins (Pure) combined with the infused flavor from real fruits, my daily water routine just got more colorful with Wilkins Delight!”, Matteo added. Wilkins Delight comes in three exciting flavors! Pink Pomelo, Apple and Orange. Each rehydrates the body because of the water, and tickles the tongue because it has real fruit juice. Wilkins Delight is now available in 425ml pack at the suggested retail price (SRP) of P15 in your leading supermarkets, groceries, and convenience stores; and in 250ml pack for an SRP of P10 in your favorite sari-sari stores nationwide. Add flavor to your water. Add color to your life. Enjoy new Wilkins Delight. 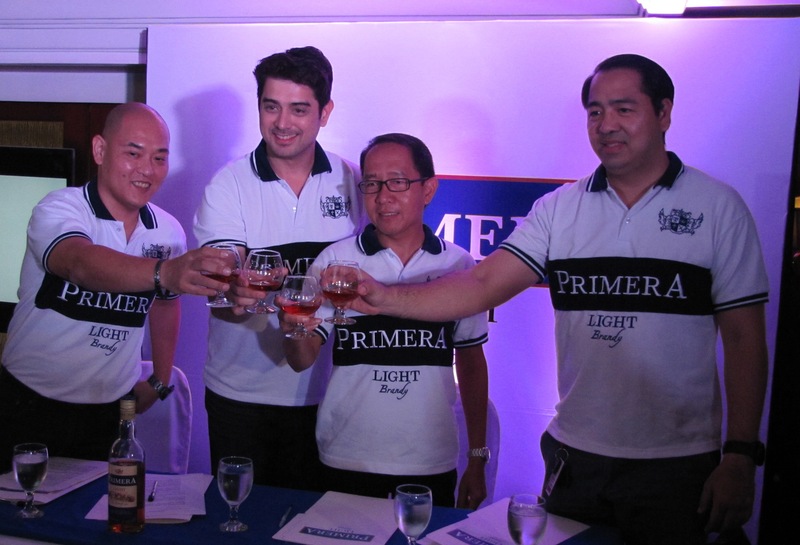 Ginebra San Miguel Inc. (GSMI) introduced “man of the hour” Ian Veneracion as the newest endorser of its liquor brand Primera Light Brandy. 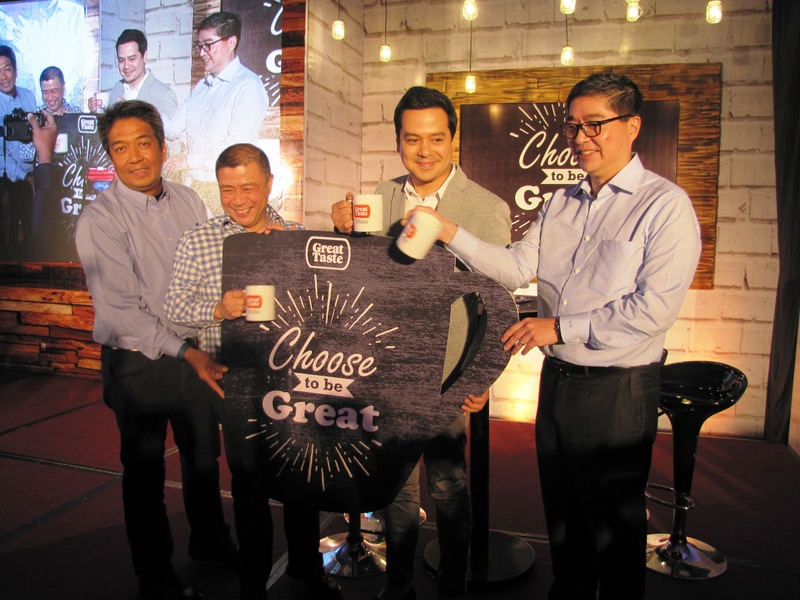 In a grand press launch and contract signing held recently, the multi-talented actor was welcomed to the GSMI family by its president Bernard Marquez, group brand manager Paul Camello, and brand manager Henry Simon. Ian, who won the hearts of many after starring in a hit primetime teleserye and movie, relates that being “swabe” is important when dealing with both his work and personal life. “After a ‘tamang swabe’ day of shooting or taping, I just want to relax and drink something smooth. So when I’m with friends we usually just open a bottle of Primera Light Brandy,” says Ian, who finally found the smoothness that he had been looking for in a brandy. “Primera Light Brandy is smoother than other brands, and I love how it tastes,” he adds. Primera Light Brandy is a unique brandy liqueur masterpiece made from fine imported ingredients and exquisitely blended with Solera Gran Reserva Brandy concentrate from Spain. The breakthrough Premium Smooth Blend process gives Primera Light Brandy that distinctly flavorful aroma, well-balanced character, and exceptional taste for that “Tamang Swabe, Swabeng Tama”. Primera Light Brandy was recently recognized for its high quality and taste by the Monde Selection International Quality Institute, the distinguished authority of quality in the food and beverages industry worldwide. Primera Light Brandy is a quality product of Ginebra San Miguel Inc.
For more on Primera Light Brandy, like the official Facebook fanpage www.facebook.com/primeralightbrandy or log on to www.ginebrasanmiguel.com. 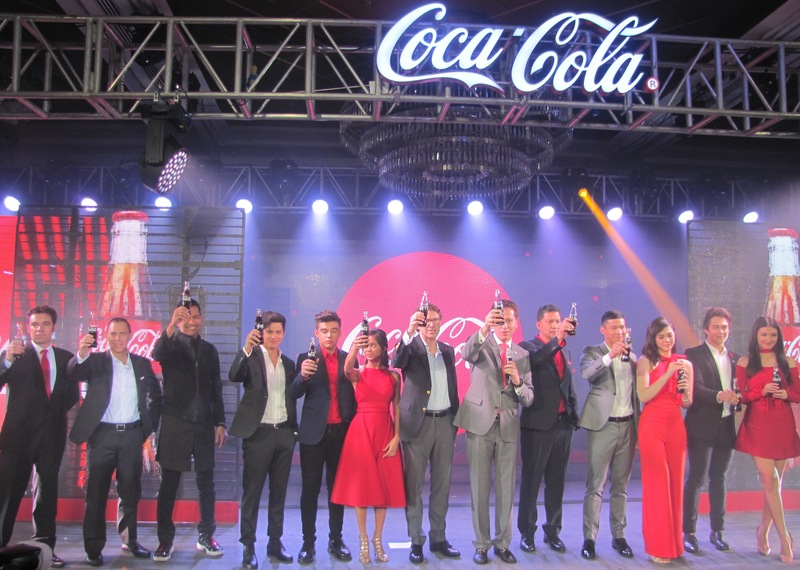 Coca-Cola unveils a powerful, global communications campaign for their most iconic product – celebrating moments made more special with the simple pleasure of drinking Coca-Cola. 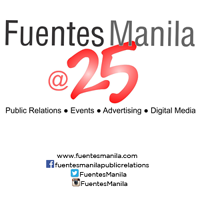 Anchored in the fundamentals of the Coca-Cola brand – the Spencerian script, the red disc and the iconic glass bottle – the creative campaign brings a new visual and auditory experience for the consumers, still featuring authentic and real moments, a continuation of the long legacy of Coca-Cola. About The Coca-Cola Company The Coca-Cola Company (NYSE: KO) is the world’s largest beverage company, refreshing consumers with more than 500 sparkling and still brands. Led by Coca-Cola, one of the world’s most valuable and recognizable brands, our Company’s portfolio features 20 billion-dollar brands including, Diet Coke, Fanta, Sprite, Coca-Cola Zero, vitaminwater, POWERADE, Minute Maid, Simply, Georgia, Dasani, FUZE TEA and Del Valle. Globally, we are the No. 1 provider of sparkling beverages, ready-to-drink coffees, and juices and juice drinks. Through the world’s largest beverage distribution system, consumers in more than 200 countries enjoy our beverages at a rate of 1.9 billion servings a day. With an enduring commitment to building sustainable communities, our Company is focused on initiatives that reduce our environmental footprint, support active, healthy living, create a safe, inclusive work environment for our associates, and enhance the economic development of the communities where we operate. Together with our bottling partners, we rank among the world’s top 10 private employers with more than 700,000 system associates. For more information, visit Coca-Cola Journey at www.coca-colacompany.com, follow us on Twitter at twitter.com/CocaColaCo, visit our blog, Coca-Cola Unbottled, at www.coca-colablog.com or find us on LinkedIn at www.linkedin.com/company/the-coca-cola-company.